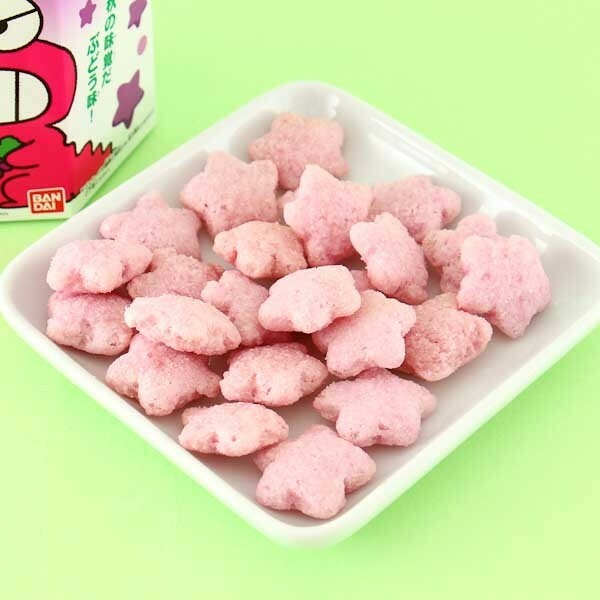 These delicious star-shaped biscuits are the favorite snack of the characters in the popular Japanese anime Crayon Shin Chan! 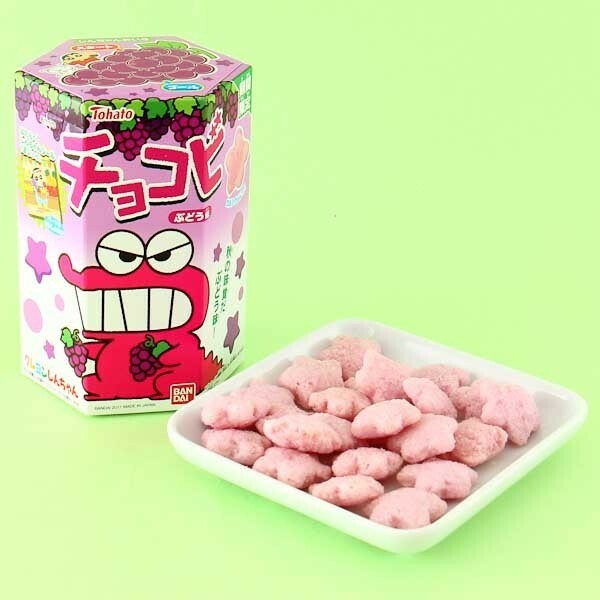 Jump into the anime world and snack on these puffy, and sweet grape flavored chocolate corn biscuits, and you feel like one of the characters! 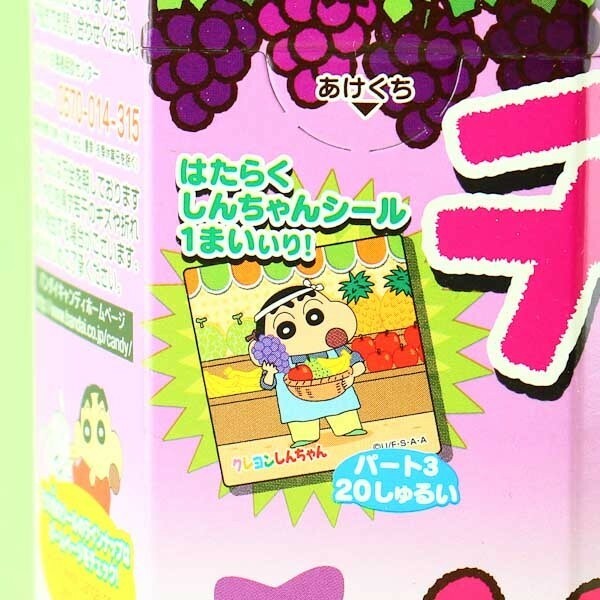 On top of it all, each box includes one Crayon Shin Chan character sticker! Yay! Shin-Chan's favorite snacks, star-shaped chocolate biscuits!